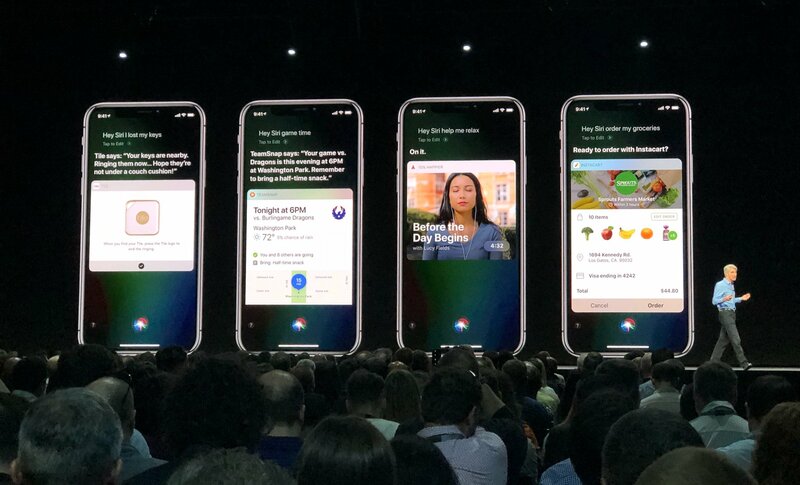 Apple has officially unveiled iOS 12 at its annual WWDC conference. 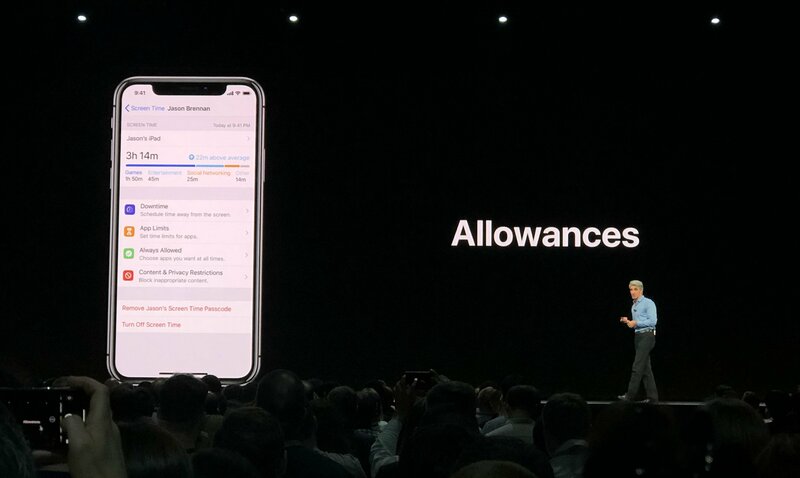 iOS 12 will run on all devices that iOS 11 currently runs on and focuses primarily on performance. 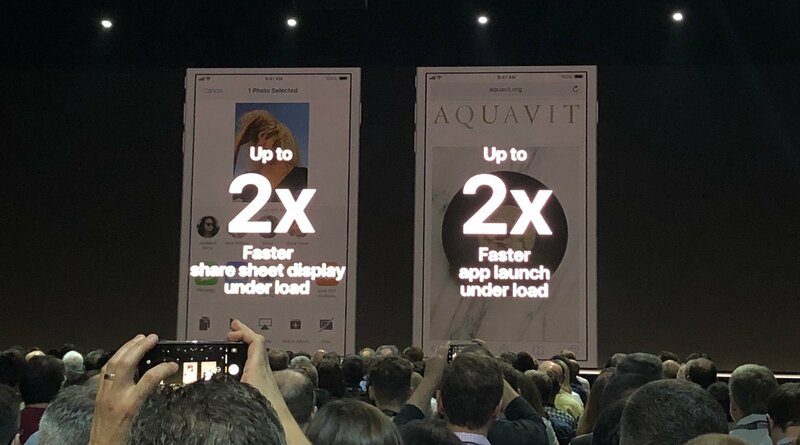 "With iOS 12, we're doubling down on performance" said Apple Senior VP of Software Engineering, Craig Federighi. Surprisingly, Apple is putting much of its efforts into improving the performance of older devices like the iPhone 6s. So even on older devices, compared to iOS 11, apps will launch 40 percent faster, the keyboard will launch 50 percent faster, and even the camera will load up to 70 percent faster. Apple has worked on how apps area launch, fine-tuning the CPU to run at peak speeds when it’s under load. It's not all performance though, iOS 12 has a ton of new features too. First up: Augmented Reality (AR). 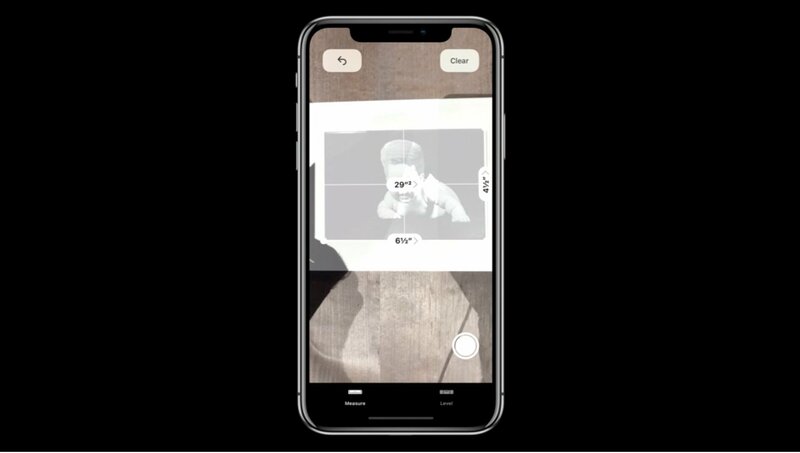 Apple has worked with Pixar to create a brand new file format for AR called USDZ, which will work in multiple applications, including Adobe’s Creative Cloud. 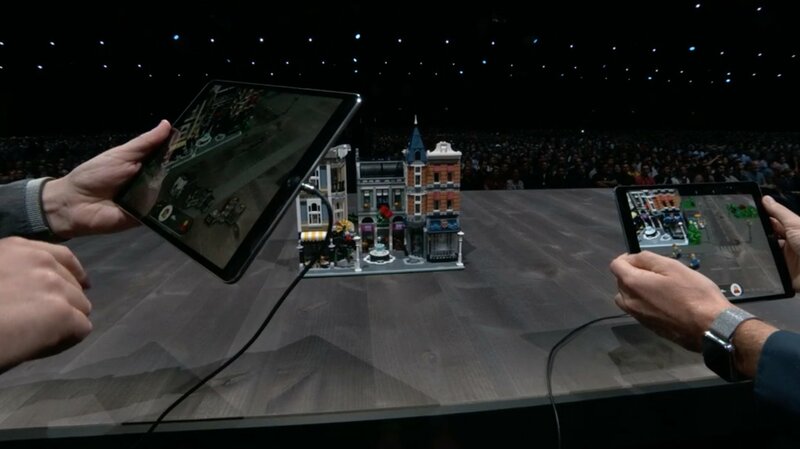 Apple wants to make it easy for you to be able to drop any 3D object from an app into the "real world", like a toy or lamp or character, and USDZ has been built to make it easier for app developers to implement this into their apps. 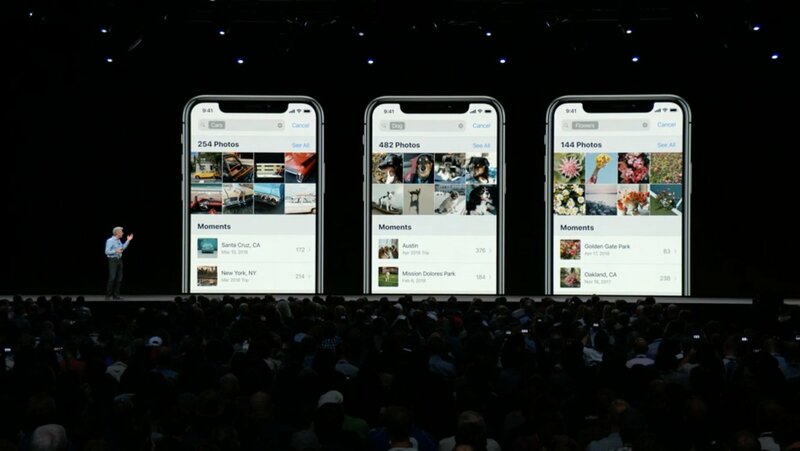 Federighi also demoed a new AR app for iPhone and iPad called Measure that will let you measure stuff using your iPhone. Okay sure, there are already plenty of AR apps in the app store that can do that now, but Apple's version looks particularly slick. 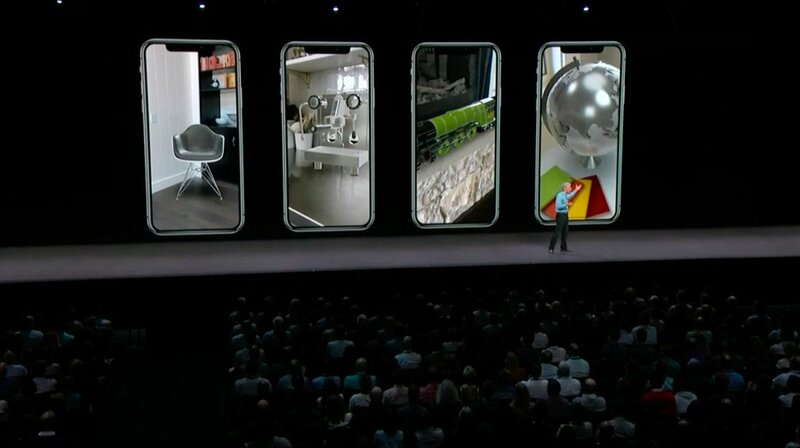 Apple also announced the second version of ARKit, its AR software toolbox for developers. ARKit 2.0 brings a variety of new tools to developers, like improved face tracking, better 3D object recognition, and best of all shared VR experiences. That means you'll be able to inhabit the same VR space as other users - so for example, you can play the same game in AR or share and work on the same virtual document. Lego will be a big partner for Apple moving forward with VR, so you can look forward to building virtual Lego kits with up to four of your friends in the near future. The Photos app has gotten an update and some new features. In iOS 12, search has been improved and you'll now be able to search for businesses and events, people, scenes and you can even use multiple search terms. You'll also receive Search suggestions. A new tab called 'For You' will suggest memories to revisit, and you'll also see suggestions for photos to share with key people. It will even suggest effects to spruce up your photos. If suggestions for sharing photos with people sounds familiar, that's because Google Photos does this too. Siri is getting a new feature called Shortcuts. You'll be able to add Shortcuts from your favorite apps to Siri, and choose a key phrase to activate that Shortcut. 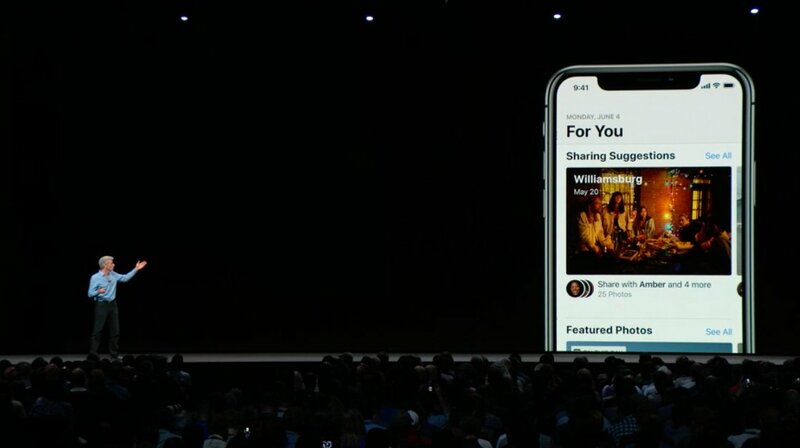 Federighi demoed this on stage with the Tile app, using the phrase "I've lost my keys" so when he said "Siri, I've lost my keys" Siri automatically opened up the Tile app and started buzzing his Tile. 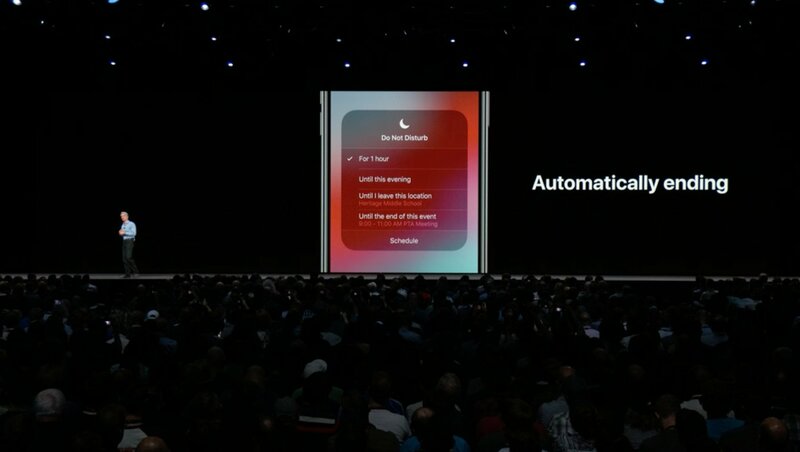 Siri will also offer you automated suggestions based on your actions and daily routine. For example, if you go to a movie, Siri can remind you to turn your phone to silent. She'll also prompt you to call your mom on her birthday. 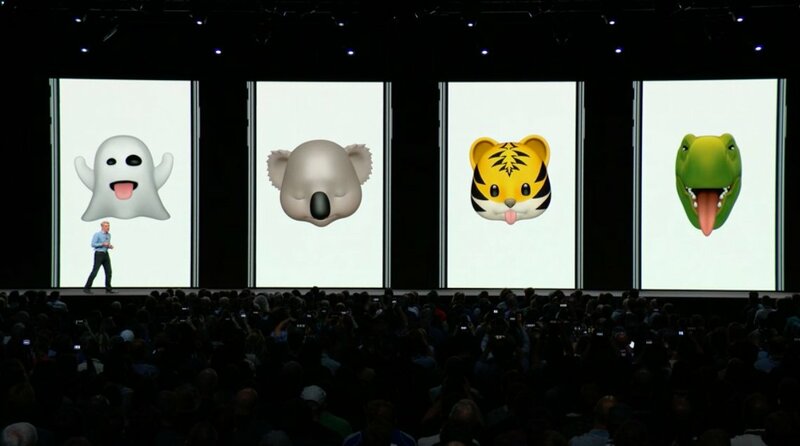 Animoji has been upgraded with some new emojis, including a koala, ghost, tiger, and my personal favorite, a T-Rex. 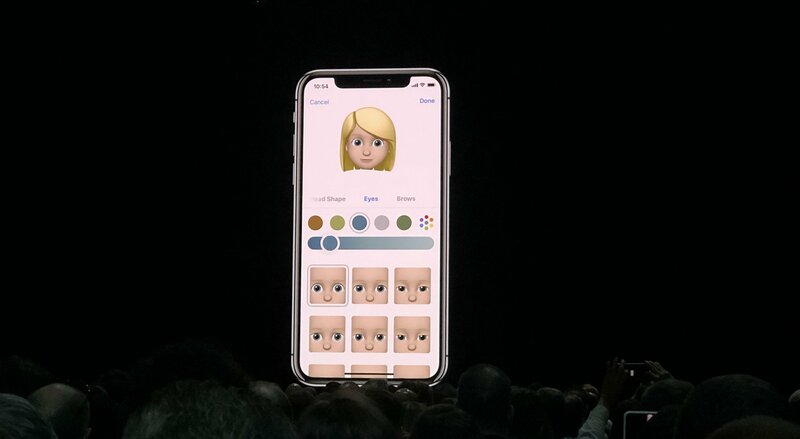 Apple is also taking on Samsung's AR Emoji with a new Memoji feature, which will let you make an animoji of yourself. 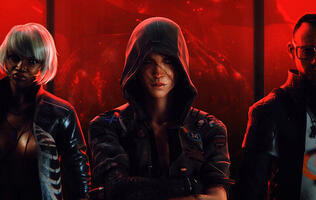 There are customization options for skin tone, hairstyles, facial features, and accessories like sunglasses. The customization options look a lot more comprehensive than Samsung's version, so hopefully everyone's memoji won't look exactly the same again. 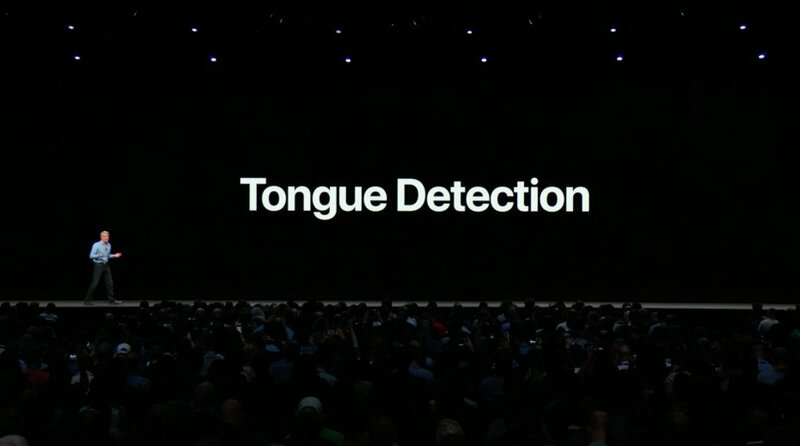 Finally, Animoji now also has tongue-tracking technology. So, when you stick out your tongue, your animoji will too. What a time to be alive. FaceTime now has a Group FaceTime option, which lets you add up to 32 people to a group chat. FaceTime is integrated into iMessage, which means you can transition from iMessage to FaceTime at any time. The app will automatically recognize who’s talking, and the video stream showing the person currently talking will be brought to the front. 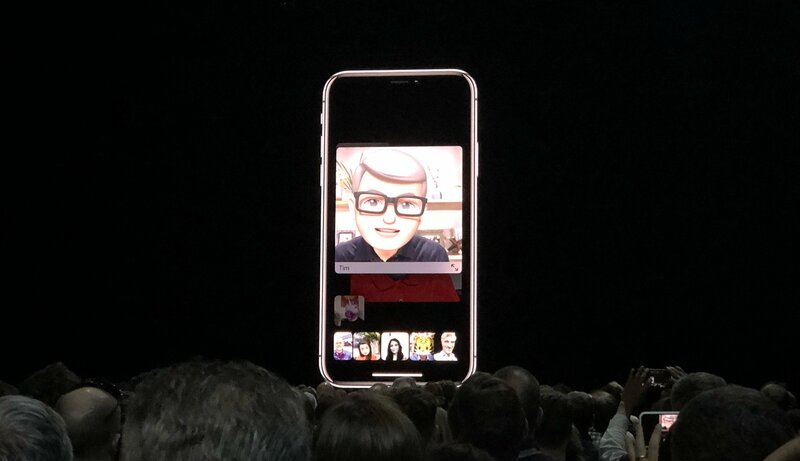 You'll also be able to use Animoji in FaceTime chats. 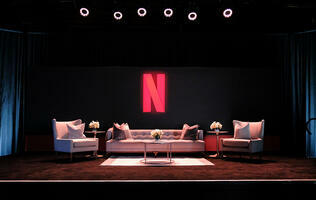 The News app will now have a personalized feed of stories from trusted sources. 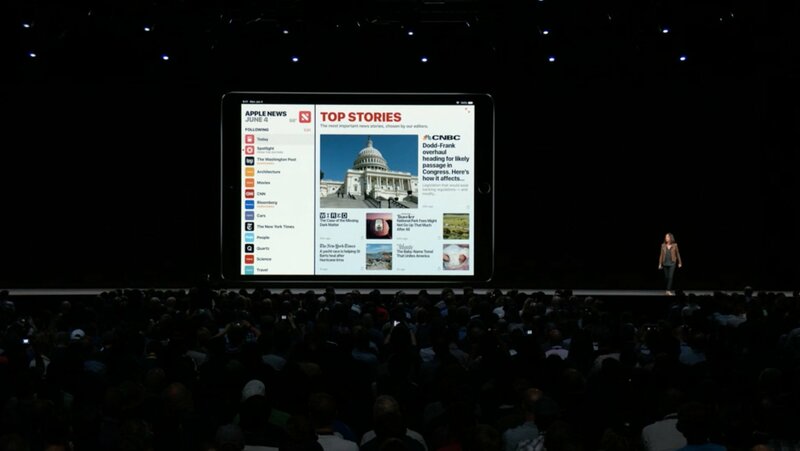 Top stories will be hand-picked by Apple's news editorial team. A new browse tab will also show you new channels and topics, and a new side bar will let you explore other topics. The Stocks app has been updated with new charts that show stock performance throughout the day. It will also feature some News integrations, and you'll be able to tap on any interesting stories to read them directly from the app. There's also an option to show after-hours stock pricing. 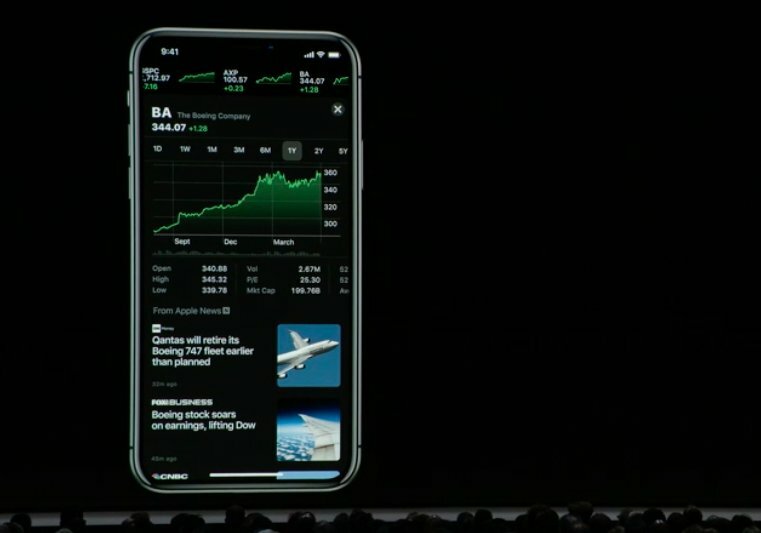 The Stocks app will also finally be coming to iPad in iOS 12. 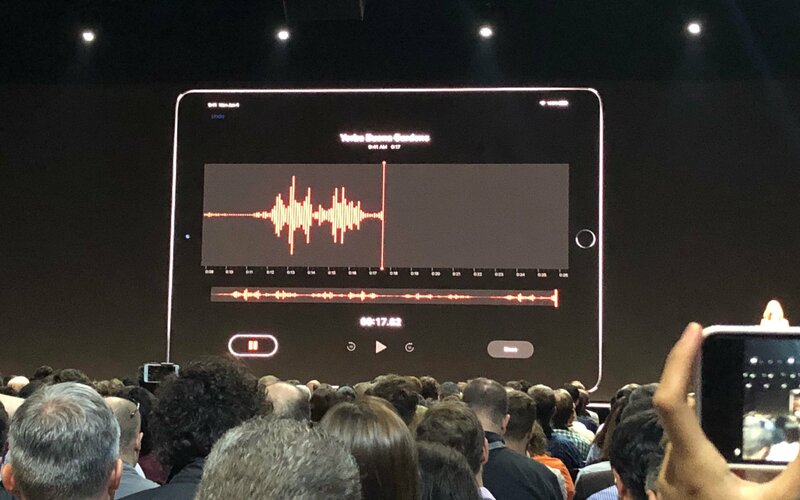 Voice memos will also be coming to iPad with iOS 12, and all of your recordings will stay in sync across all of your iOS 12 devices. Still no auto transcribing though. iBooks is now just called Books, and will feature a new design and store. There's also a Reading Now feature that offers a preview that helps you pick up where you left off. 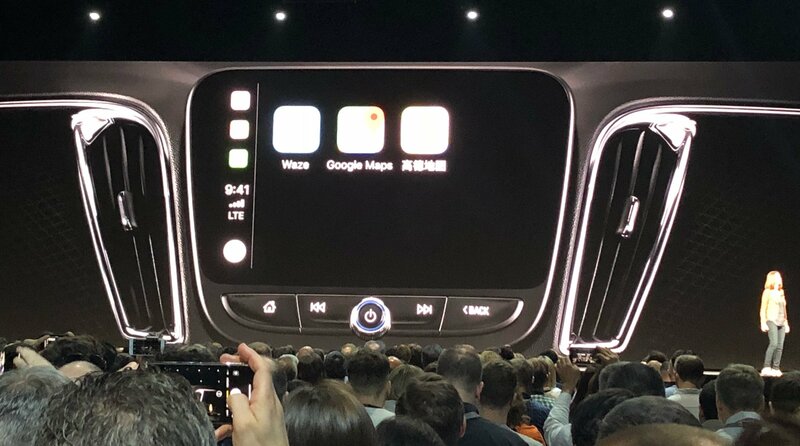 Carplay now supports third party navigation apps, including Waze and Google Maps. 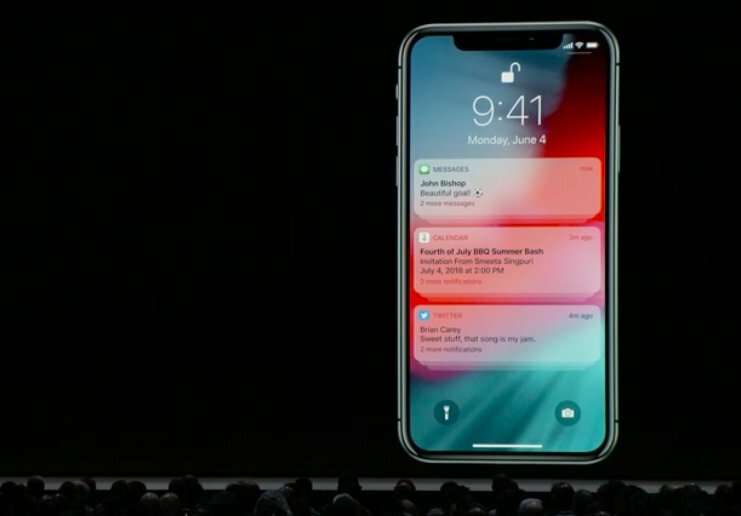 iOS 12 will let you further customize the way you interact with notifications. Grouped notifications are also finally coming to iOS, with notifications grouped by app, topic, and/or thread. The Do Not Disturb during bedtime feature is also getting an update that will prevent notifications from showing up on the screen. When it's morning, you'll get all of your notifications as per normal. The feature also now has an ending time in Control Center to make it easier to use. 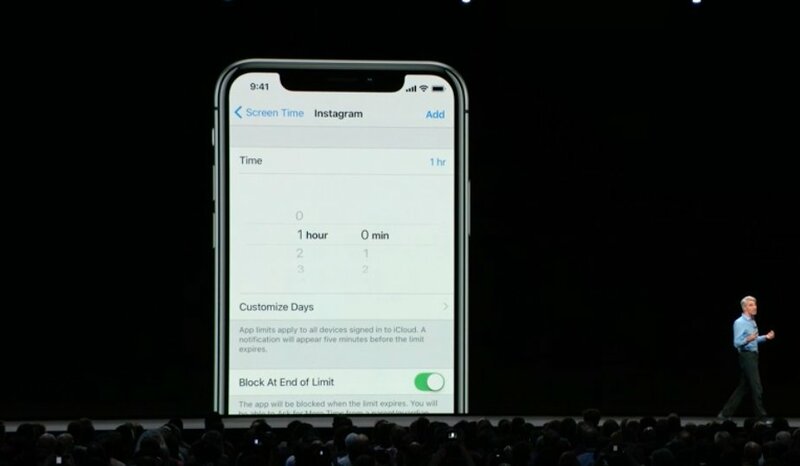 A new Screen Time feature will tell you exactly how you’re using the phone, how much time you’re spending on apps, and what apps you use the most. 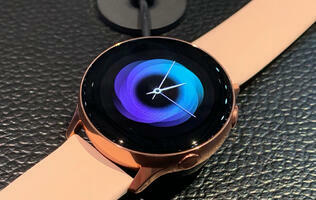 You'll be able to view a report that should help you manage your screen time. You'll also be able to set restrictions that will let you limit the amount of time you can use an app per day. If this sounds familiar, it's because Google just announced the same thing for Android P.
Parents will also get screen time reports from the devices their children use, and they'll be able to set up time limitations for categories and individual apps. 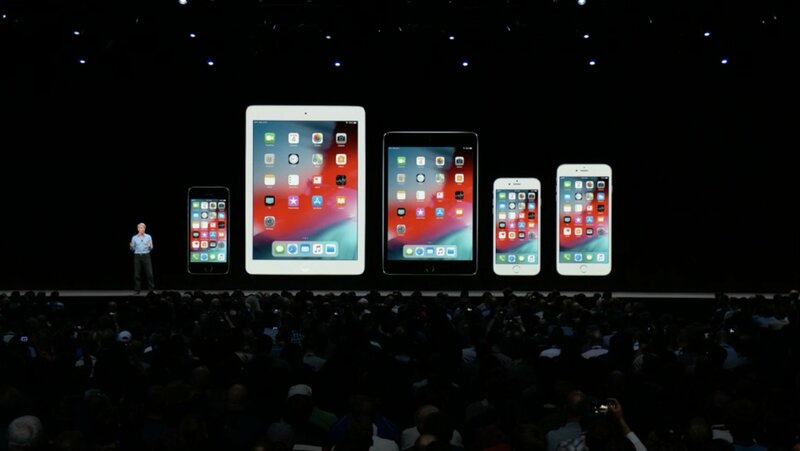 iOS 12 will be released later this year alongside this year's iPhones and iPads. 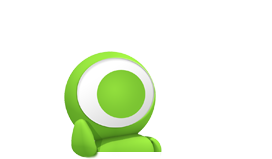 The first developer beta should be available later today, with a public beta later in the month. 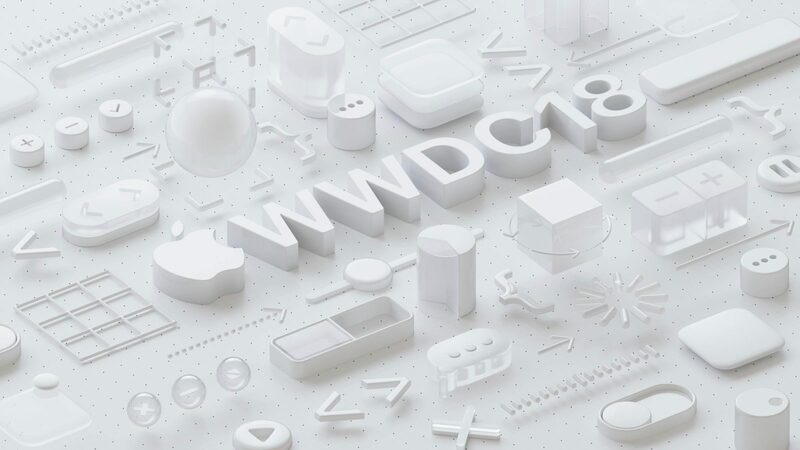 Update (13 September 2018): Apple has just announced that iOS 12 will be rolling out as a free update on 17 September.